At least 1,036 Canadians died in the first three months of this year due to apparent opioid overdoses, raising the opioid epidemic's death toll to more than 8,000 people since January 2016, according to newly released government figures. At least 1,036 Canadians died in the first three months of this year of what appeared to be opioid overdoses, raising the opioid epidemic's national death toll to more than 8,000 people since January 2016, according to newly released government figures. 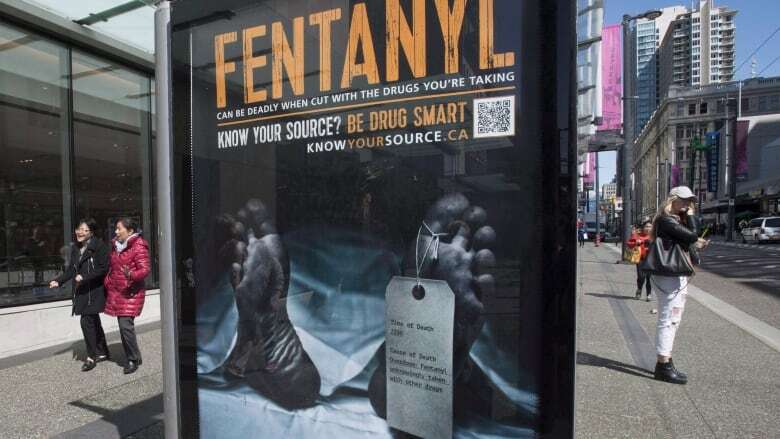 According to the Public Health Agency of Canada's latest trend report, 94 per cent of the deaths between January and March of this year were accidental and most of those deaths involved the powerful pain medication fentanyl. "The latest data suggest that the crisis is not abating," said Chief Public Health Officer of Canada Dr. Theresa Tam and Dr. Robert Strang, Nova Scotia's chief medical officer of health, in a joint statement. They co-chair the government's special advisory committee on the opioid overdose epidemic. The report shows Western Canada — particularly British Columbia and Alberta — remains the region of the country hardest hit by the epidemic, but no province has gone unscathed. Men continue to be among the demographics hardest hit by opioid deaths. More than three quarters of the apparent victims of fatal opioid overdoses in 2018 were men. The federal health minister said there was no silver-bullet solution to solving the opioid crisis sweeping across the country. "The numbers that have been released today are nothing but tragic, actually. We see that the numbers are continuing," said Ginette Petitpas-Taylor. "As the health minister, it's certainly the number 1 priority that I am dealing with." In 2016, slightly more than 3,000 Canadians died of apparent opioid overdoses. That number grew to close to 4,000 deaths last year. The numbers are expected to change as more data are made available. The health agency also released the results of a study it did with coroners, medical examiners and toxicologists from across the country. While the interviewees noted they saw deaths occur in multiple socioeconomic categories, the most frequently observed characteristics of opioid overdose victims included a history of mental health concerns, substance use disorder, decreased drug tolerance, being alone at the time of the overdose and a lack of social support.